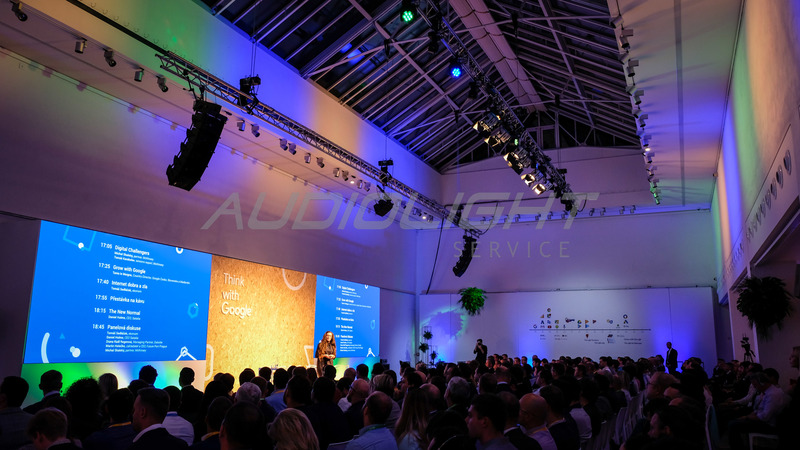 Google conference | Audiolight service s.r.o. 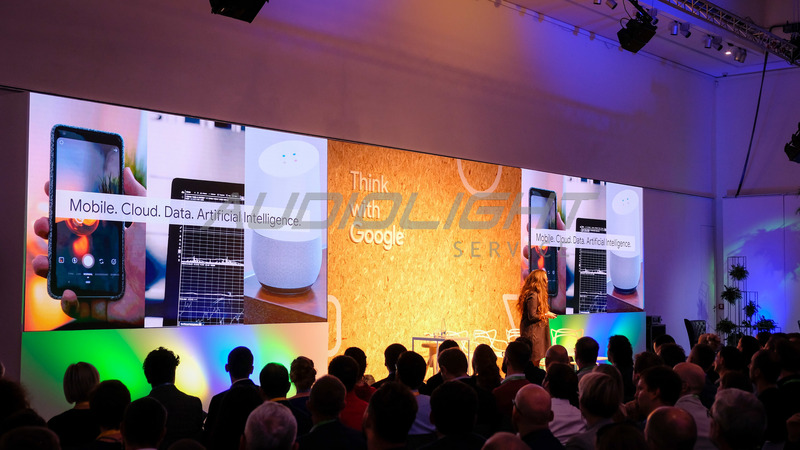 The Think with Google conference was held in the Mánes building, but it was atypical in the width of the hall. 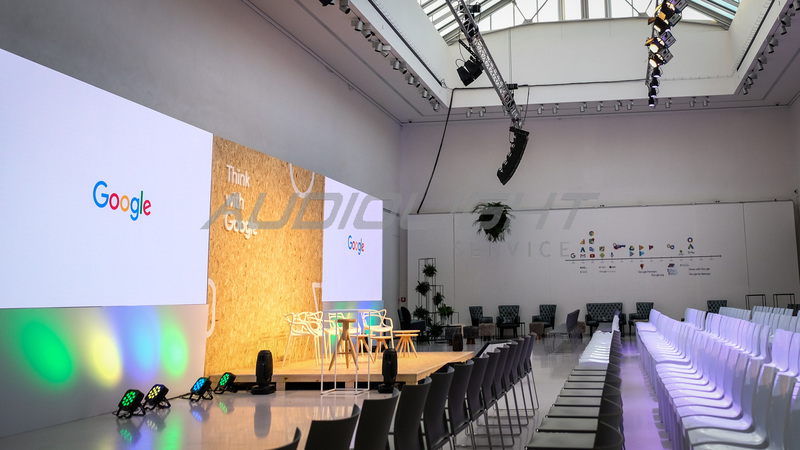 Another special feature was the wooden stage, which was a pleasant change and softened the whole scene. 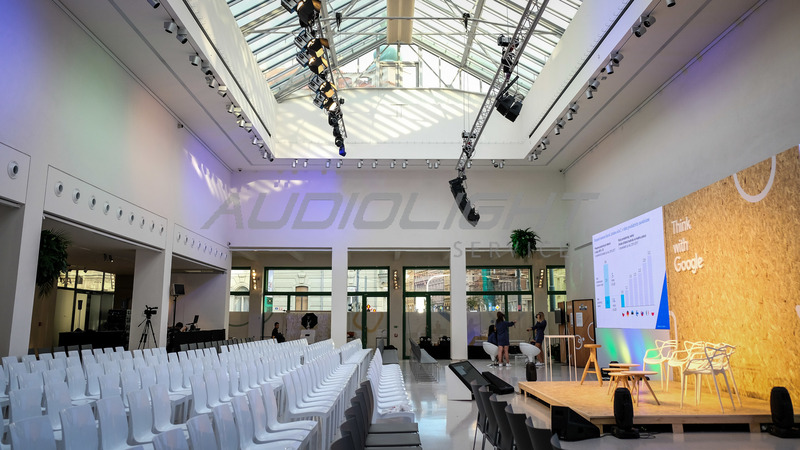 The rooms fit into four colors that appeared in the graphics projected on two LED walls on the sides of the stage. For guests, there was a musical performance in the late hours, of course, catering, and photo-corner.